WordPress is the world’s most popular Content Management System (CMS). 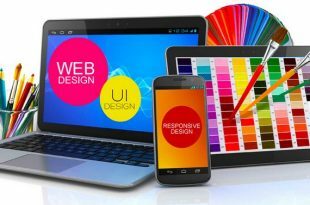 It’s a platform that lets people with no web development experience put together an attractive, functional, and SEO-friendly website. WordPress is an amazing tool. Best of all – it’s free! Whether you’re building a website for a local business or creating an AdSense site, WordPress is generally your best option. How do you create a blog with WordPress? How do you make your website fast and stylish? What do you need to know about WordPress and SEO? Which plugins should you install? Today, we’re going to answer all of those questions and explain how to easily create a blog with WordPress. Editor’s Note: I highly recommend using HostGator for your first website, and you can get started now at only $3.95/month. HostGator make it incredibly easy to get a new site up with their one-click automatic WordPress Blog installation. Should you build a blog or a website? First, let’s clarify these terms. Blogs are a type of website which feature regularly updated posts and information. Websites are everything else you see online. All blogs are websites, but not all websites are blogs. Blogs are typically organized in order of most recent posts to oldest posts. If you plan on regularly sharing news stories or recent information with your audience, then a blog is the right choice for you. WordPress is described as a blogging platform. However, it’s also an effective website creation tool. It’s versatile and customizable and does not restrict users into choosing between creating a blog or a website. There are dozens of other reasons why you should use WordPress, but I’ll stop there. You get my point: WordPress is as good as it gets when it comes to free, easy-to-use website development platforms. A self-hosted WordPress blog gives you full creative control over the content on your website. You own the content and are free to add advertisements and monetize your site in any way you see fit. That’s it. Once you’ve done that, you simply install WordPress on your domain and set up your blog using the WordPress system. Most web hosts will happily do this for you. Others have “one click WordPress installs” which let you install WordPress with – you guessed it – one click. Self-hosted WordPress blogs are good but like everything good on the internet, they cost more money. If you don’t want to pay money for your WordPress blog, then you have a few other options available. You can sign up for a free WordPress account on WordPress.com, in which case your website will have a URL like YourWebsite.Wordpress.com. Or, you could use free services like Blogger. Neither of these two options are very good. If you use a free WordPress account at WordPress.com, then you won’t be able to post advertisements or monetize your blog in any way because it’s against the terms of service. Meanwhile, bloggers don’t actually own the content they post on Blogger. Yes, setting up a blog on Blogger is easy, but unfortunately, you’ll never own the content or material you’ve worked so hard to produce. Furthermore, free blogging platforms make your site – your business – look unprofessional. These services go down often and perform slowly. All of these factors mean fewer visitors and more money taken out of your wallet. Self-hosting a WordPress blog will cost you a few dollars per month. There are plenty of cheap web hosting providers out there, and many of these providers are happy to give you free domain names or the ability to add unlimited domains to your account. If you plan on using your website for AdSense, then just a few clicks every month should easily cover the costs of web hosting. If you want the fastest speeds and the ability to add multiple domains to a single account, then you should look into Virtual Private Servers (VPS) and dedicated servers. These options cost more but provide dedicated hosting for your business. That means faster speeds for your site and access to more powerful server management tools and security features. As mentioned above, one of the most valuable advantages of WordPress is having access to thousands of available themes. Themes are extremely easy to install on your site. Most themes come in the form of .zip files. To install a theme, simply log into your WordPress site, navigate to the Themes section along the left-hand side of your screen, and upload the .zip file containing your chosen theme. There are also a number of pre-chosen themes available by default, including WordPress.com’s popular selection of Twenty Eleven, Twenty Twelve, Twenty Thirteen, and Twenty Fourteen themes. You can browse through a selection of WordPress-approved themes directly from the Themes menu, or you can search the internet for other WordPress theme sites. WordPress themes are available all over the internet. Some themes cost hundreds of dollars, but most of the popular themes are free or cost less than $30. Choose a theme designed for your niche, industry, or business: There are WordPress themes for all different types of websites. There are e-retail themes, news site themes, music site themes, and themes for every type of site out there today. Don’t get cornered into installing a theme that doesn’t fit the way you want to display your business. Understand the value of paid themes: Paid themes often come with bonus features. You may have access to an entire database of themes for a one-time fee, for example, or you may receive bonus plugins and other free bonuses. Most people choose free WordPress themes, but if you’re trying to build a legitimate business online, then don’t be afraid to pay a professional WordPress theme designer a few dollars. Realize you can change your theme: Let’s say you find the perfect theme. It has everything you’re looking for and would be perfect for your website idea. Unfortunately, one of the menus is in the wrong spot on the screen and that just ruins things for you. WordPress is extremely customizable and – even with no coding knowledge – you can tweak and customize various aspects of your theme. Many themes even have a built-in settings menu where users can edit theme options as much as they like without diving into the source code. Realize you’re not locked into any theme: If you decide you don’t like a theme, then you don’t have to wipe your entire site to install a new theme. Since all WordPress themes have to conform to the same standards, you can swap WordPress themes in and out as often as you like. If you choose a theme today and don’t like it next week, you can swap in a new theme in just a few minutes. Once you’ve chosen a theme and installed it on your site, it’s time to configure some more important settings and start creating content. Before you start writing content, let’s get some of the blog settings out of the way. You’ll want to configure blog settings for SEO purposes, but these settings will also improve the experience for your website visitors. General: This section contains general information about your website, including the Site Title, Site tagline (meta description), address, admin email, and time zone. You can also choose the time format and date format. Configure all of these settings how you wish – you can easily change them at any point in the future. The Site Title is what search engines will display when your website’s homepage appears on search results, while the Site tagline is what search engines display beneath your title. It’s extremely important to fill out these categories with accurate information. Writing: The writing section lets you configure a few different settings, including the default post format (set to standard by default), as well as the default post category, which is where your posts go if you don’t have a category. You can also check off whether or not to convert text emoticons into graphics. Reading: Choose whether you want your front page to display a static page of content or a selection of your latest posts. Here, you can also choose how many blog posts show up on each page and decide how much of each blog post shows up – either the full text or a brief summary. Discussion: The Discussion settings on WordPress cover the comment system. Here, you can choose whether or not visitors are allowed to comment on your posts. You also decide if comments need to be manually approved on your blog or if anyone can freely comment. The internet is filled with spammers so I recommend you check the box that says “Comments must be manually approved”. The first option tends to be the best for SEO, although blogs with lots of regular daily updates may find it helpful to categorize blog posts into separate days, months, and years – especially if you have a weekly column or feature. Your menu is the most important navigational system on your website. Without a menu, visitors may not know where to go. Setting up a menu in WordPress is easy. To do that, simply sign into your WordPress dashboard and go to Appearance > Menus. From the following window, you’ll be able to check boxes on the left side of your screen and then click Add to menu to add those boxes and menu options onto the right hand side of your screen. WordPress generally creates a menu for you by default. As you add more pages and categories to your blog, you’ll want to tweak your menu settings to display the pages you want people to visit. In the early days without much traffic, a basic menu system with links to your homepage and recent blog posts should be fine. You’ve signed up for a web host, chosen a theme, configured your settings, and now you’re ready to start blogging and creating content. Now that you have all the logistics of creating a WordPress blog out of the way, this is where the fun can really start. If you like writing articles and creating interesting images or infographics, then you’re going to love blogging on WordPress. Blogging on WordPress is as easy as creating a document on Microsoft Word. Simply go to Posts > Add New to create a new post and start blogging. Once you’re in the post creation menu, you’ll see an interface that looks just like any Word Processor. You type your post title at the top of the page and then type the body of your message into the section below. Visibility: You probably want your post to be visible to the public. However, this setting also lets you assign password protection or privacy filters onto your post. If you want your post to constantly stay at the top of the front page of your blog, then you can also check the Stick this post to the front page option. Publish: Choose when to publish your blog post. Some people choose to publish their blog post immediately (which is the default option), while others choose to schedule blog posts over a period of several weeks. Categories: Here, you pick the category for your post. If this is your first post, then the only category you’ll see here will be Uncategorized. You should set up categories which revolve around your site’s content. Or, you may choose to concentrate all your blog posts in a single category like News or Blog. Think of categories as a filing system for your blog posts. Tags: If categories are the filing system for your blog posts, then your tag system is the index. Tags let you type in keywords that were frequently used throughout that blog post. Visitors can search for tags using the built-in search system to quickly find posts about that topic. Your tag pages may also appear on search engine rankings. Type in your tags, separate them with commas, and press Enter to add them to your post. Set Featured Image: The featured image should entice website visitors to read your blog post. Some themes place the featured image front and center at the top of each blog post, while others place it off to the left or right side in a corner. Find out where your featured image gets posted and use it to your advantage. The more enticing your featured image is, the more likely people will click on it and read your post. Once you’ve filled out all of the above categories and created a good post filled with high-quality, informative, and unique content and images, then you can publish your blog post. WordPress comes with a few plugins installed by default. However, some of the world’s best plugins will need to be manually downloaded. If you’re unsure which plugins to download, then there’s an easy way to see which plugins are currently popular. On WordPress, go to Plugins > Add New. At the top of the screen, you’ll see links that say Search | Upload | Featured | Popular | Newest | Favorites. If you click on Popular, you will see the most-downloaded WordPress plugins in recent months. It’s a great way to see which plugins other WordPress developers are using. You can also instantly see which plugins to use for different categories, including SEO, social media marketing, RSS feeds, and other features. SEO: SEO plugins like WordPress SEO by Yoast will tell you which each blog post is missing in terms of SEO. Yoast gives each post a green, red, or yellow light depending on how well that specific post has been optimized to appear in search rankings. Contact form plugin: Want to give your visitors an easy way to contact you or your sales team? A contact form plugin like Contact Form 7 is a popular choice. These plugins let you customize what appears on the form and all information is sent to the email address of your choice. E-commerce plugins: If your website is selling goods or services, then you may want to consider an e-commerce plugin. E-commerce plugins come in a few different varieties but they all accomplish similar goals: they let you easily setup shopping cart systems and payment systems on your site. Security and backup plugins: Most small WordPress websites aren’t going to be targeted for malicious attacks. However, if you run a large WordPress site that is making lots of money, then you may be a target for Distributed Denial of Service (DDoS) attacks or malicious hacking attempts. Both of these attacks threaten your site, your security, and your business. Install security and backup plugins to increase your site’s ability to defend attacks and backup your site to cloud storage in case something bad happens. Social plugins: Social media could be the thing that makes or breaks your online business. Advertising your blog posts on Twitter, Facebook, Reddit, and other websites is an excellent way to draw in traffic. There are plenty of WordPress plugins that let you directly link your social media accounts to your website. You can give visitors the ability to press ‘Like’ on each blog post to share it on Facebook, for example, or “+1” a post using their Google Plus account. Most SEOs agree that social media indicators have a direct impact on your blog’s SEO, so it’s extremely important to setup these plugins on your new site. Google Analytics plugin: Want to see which keywords visitors are using to arrive at your website? Google Analytics can help you do that. Google Analytics tracks site visitor data – including the number of people who visit your site every hour, every day, and every month. You can see where those visitors are coming from, how much time they spend on your site, and which content they’re reading most. It’s an exceptionally useful tool that you would be crazy to ignore. There are thousands of WordPress plugins out there, all of which are designed to make running a WordPress blog as easy as possible. WordPress plugins are often free and can help you solve all sorts of different problems with your blog. If you’ve recently created a WordPress blog, then the Plugins > Add New > Popular page is one of the first sections of your blog dashboard to visit. You may think WordPress blogging simple and easy. It’s easy to write a blog post, share that post on Twitter and Facebook, and see small amounts of traffic trickle in. Don’t treat your sidebar as a repository for all the information you couldn’t fit on the main page of your site. Don’t put twelve different links in your menu. Minimalistic sites are often the most usable sites. Try not to be too messy. You can clean up your sidebar by going to the Appearance & Widgets tab. Drag and drop everything off your sidebar that your visitors don’t use and your site will look much better. Or, you can go even shorter than that and reduce the end of the URL to ‘buy-lawn-mower’. Simpler is better. Image SEO is one of the most overlooked aspects of SEO out there today. Good image SEO involves filling out the Title tag and Alternate Text (alt) tag fields on each and every image on your site. Be specific with your image tagging. Instead of calling a picture of a computer, “Computer”, be more descriptive and say things like “Gaming computer with mouse and keyboard”. When you add lots of accurate image-related details, it’s rarely bad for SEO. What goes viral on social media? Which content gets the most views? I can’t answer these questions for you, because it totally depends on your blog’s audience. Some blogs get more clicks on content by posting women in bikinis in every thumbnail image. Other blogs will get lots of traffic by posting controversial conspiracy theories, unpopular opinions, or funny articles. Write a few blog posts and share them on your favorite social media sites. See what people like and which content pieces attract the most traffic to your site. Writing good online content isn’t like writing a good book. Online, your content should feature lots of spaces and images. Most internet users have short attention spans. That means the best online content features frequent paragraph breaks and lots of visual content. Use short sentences. Avoid using big words. Don’t overestimate the intelligence of your visitors, but don’t dumb things down too much either. Be funny where appropriate and avoid filling your writing with fluff. Creating a blog with WordPress isn’t rocket science. Follow the tips listed above and you’ll be a pro WordPress blogger in no time at all!